What to do about getting your car repaired. Which insurance company will repair my automobile? What if the other driver's insurance company is to repair my car? May I select the body shop to make the repairs on my car? What if the new paint on my car doesn't match the old? May I insist on new or dealer manufactured parts? Do I have to sign a release? What if my car is "totaled"? Generally, where repairs are appropriate, the amount you can collect from the other driver or his insurance company is the reasonable cost of repairs. The law also recognizes a claim for a vehicle's diminished value following accident-related damage. Because there is no such thing as a perfect repair, many cars will lose inherent value even when properly fixed. For example, your automobile might be worth ten percent or more less after an accident than it would have been worth if it had never been hit. Insurance companies tend to resist paying diminished value claims, so if you wish to press one, you probably will need to hire an expert in diminished value evaluation who will perform an inspection of your vehicle and write a report detailing his or her findings and opinion regarding your loss. These experts typically charge several hundred dollars for this work, and there is no assurance that you will get the result you want, especially if your car is a low value one. Furthermore, even with an expert opinion describing a diminished-value loss, you may need to file a lawsuit to have it considered. Should you wish to pursue a diminished value claim, search the internet for experts in your area. The time you must take off from work or from your other activities to obtain estimates, deal with the repair shop, negotiate with the insurance company, etc., is not compensable as part of your property damage claim. In certain unique circumstances, if you can prove that the accident resulted in definite expenses to you as a consequence of the accident, you might be able to recover these from the other insurance company. In most cases, however, you would not be successful without first hiring a lawyer, and the cost of proving such damages may often exceed any compensation you would receive. 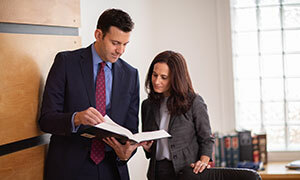 If it is clear that the other party was at fault in causing the accident, and if you have collision coverage on your automobile policy, you have two choices: You may insist that the other driver's insurance company repair the automobile or you can have the auto-mobile repairs paid for by your insurance company under your policy. If you cannot come to a speedy agreement with the other driver's insurance company regarding the responsibility for the accident and the amount of the damages, this will delay your automobile being repaired. In that case, you should have your own insurance company pay for the repairs rather than continuing to fight with the other driver's insurance company. If your own company repairs the vehicle, it would cover the entire repair costs (excluding your deductible) regardless of who caused the accident. If your own insurance company pays for the repairs, it may attempt to collect the amount it paid from the other driver's insurance company, if that driver was at fault. If your company is successful in doing this, it also should collect the deductible that you have previously paid, and that should be returned to you. You should request that your company do this for you. In some cases, you may find it is easier to work with your own insurance company. It may be more willing to make repairs to your satisfaction than the other party's insurance company. Obviously, your own insurance company would like to keep you as a customer, whereas the other insurance company has no similar incentive. If the accident clearly was not your fault, your premium should remain unaffected by any claim under your own collision coverage. If your company attempts to increase your premium as a result of an accident that was not your fault, you should discuss this with your insurance agent. If you receive no satisfaction, contact the Arizona Department of Insurance. If you do not have collision coverage, or if you are unwilling or unable to pay the deductible, you should seek to have the driver who was at fault or his insurance company pay your damages. That insurance company may be cooperative and satisfy you that the repairs will be done in a prompt and satisfactory manner. If your car is drivable, the other party's insurance company may want you to go to a drive-in claims office for an appraisal. You should make arrangements with the adjuster assigned to your claim for an appropriate time. 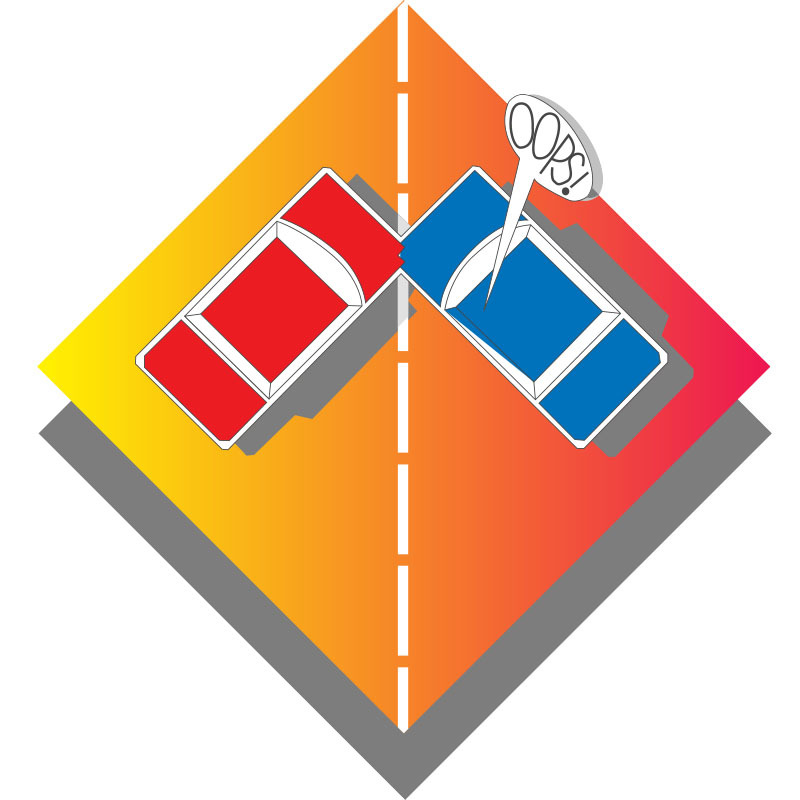 If the car is not drivable, you should notify the adjuster of the location of the car so it can be viewed by the adjuster. In some cases, arrangements will have to be made to have the automobile towed to a dealer for an estimate. Also, be sure to let the company know if the car is being stored and the amount of the storage charges. The insurance company (yours or the other party's) must compensate you for the amount reasonably necessary to repair your car. Often, insurance companies will have made arrangements with certain repair shops for reduced rates, and they will ask that you have your car repaired by that shop. Although you have the legal right to select the shop where your car is to be repaired, the insurance company is required only to compensate you for the reasonable repair cost (which may be less than your own shop of choice would charge). You may be responsible for the difference, if the additional costs are unreasonable. The choice of body shops is a matter subject to negotiation with the insurance company. If the estimate given by the insurance company's shop is far lower than the es ti-mate you received from the repair shop you select, you should have your repair shop discuss the matter with the insurance adjuster. Alternatively, ask your repairman to review the insurance company's estimate and point-out to you why that estimate is unreasonably low. You should take this information to the insurance company to see if you can work out a compromise. If no agreement can be reached, you have the choice of either accepting the company's repair estimate or paying your repair shop to do the work and then file a lawsuit against the responsible party (or your insurance company, if you are making a claim under your own collision coverage) for the cost of repairs. (This is a difficult matter because the insurance company may hire a lawyer to con¬test your lawsuit and the cost of resolving the case in court may exceed what you rea-son ably can expect to receive). If you sue your own insurance company, and you lose your suit, you run the additional risk of being ordered to pay some or all of the company's attorney's fees. If you discover when you pick-up your car that the repairs have not been completed satisfactorily, discuss this immediately with the repair shop. If the shop is unwilling to make further repairs that you think are necessary, contact the insurance company at once to see if the problem can be resolved. If the company refuses to authorize further repairs, and if the repair shop claims that the repairs were satisfactory both in terms of the quality of the parts used and the workmanship, you have limited options. Generally, faulty workmanship is the responsibility of the repair or body shop, as it would be if you were having repair work performed in the absence of insurance. If satisfactory results cannot be worked out, you may need to take your vehicle to another body shop to correct the problems. This would, then, give rise to a claim against the original body shop. This may require a lawsuit. Know your body shop's reputation before you commit to repairs. Because of the severe environmental conditions in Arizona, it often is difficult for a repair shop to perfectly match the paint on the repaired portion of a vehicle, particularly with older cars. Even if a large portion of the vehicle is affected and the difference in color between the old paint and the new is readily apparent, most insurance companies will refuse to paint the entire vehicle. You have the option to file a civil lawsuit for the diminished value of the car because of the problems with the paint. Unfortunately, how-ever, such a suit would not always be successful, and in most cases the cost of litigating the issue may be more than the cost of the paint job. Continue to discuss the matter with the insurance company and the body shop. Perhaps a reasonable compromise can be worked out. Repair shops, often at the direction of the insurance company, may attempt to repair the car with used parts or with parts manufactured by someone other than the original manufacturer of your car. For example, if your car is a Chevrolet, the repair shop may attempt to either install used parts or parts which are not manufactured by General Motors. If you are having the repairs performed under the collision coverage of your own policy, be sure to check the policy to see what it says with regard to the type of parts that can be used for the repairs. You can negotiate with your insurance company on this point. If the other party's insurance company is performing the repairs, you generally are in a better position to insist on new or manufacturer quality parts if you can show there is any potential defect in the parts that the repair shop or insurance company wants to use. If the parts proposed are of demonstrably less quality (for example, they are not treated for rusting, or are not as strong as the parts that were in your original car), you have a good argument that new or higher quality parts must be used. Generally, however, used parts in good condition are permissible since the parts in your car which are being replaced also were used. Once again, this comes down to a point of negotiation with the insurance company. Unfortunately, if the insurance company refuses to negotiate, and you feel strongly about the matter, your only recourse may be to file a civil lawsuit. Arizona law generally requires insurance companies and auto repair shops, to give you written notice when certain repair estimates are based on the use of parts made by some¬one other than the manufacturer of your car. This notice requirement applies only to "non mechanical sheet metal or plastic parts which generally constitute the exterior of a motor vehicle, including the inner and outer panels." Note that this law does not forbid insurance companies and repair shops to use non-manufacturer made parts, it only requires that you be notified in writing on any repair estimate that includes them. In some instances, especially with older cars, the cost of repairs will exceed the fair market value of your car. Where an automobile is, for all practical purposes, destroyed and not reasonably capable of repair, you are entitled to the difference between the vehicle's value before the accident and its salvage value, if any, after the accident. The value before the accident can be determined by a variety of sources including reference to the Kelley Blue Book, newspaper ads and internet websites offering similar cars for sale, and statements from car dealers or other services that appraise automobiles. If your car is totaled, the insurance company, as a condition of paying you the value of your car, may require that the car and the title be turned-over to the company. Alternatively, the company will establish a "salvage value" for the car and you may be able to negotiate with the insurance company to receive the fair market value of the car less the salvage value, in which case you still could keep the car. In that event, the car generally cannot be driven until you have had it repaired and inspected by the Arizona Motor Vehicle Department. Even so, it typically will bear a "salvaged vehicle" title to give notice to any new purchaser that the vehicle was previously totaled. If you disagree with the figure the insurance company uses regarding the fair market value of your automobile, you can negotiate with the adjuster using information from the sources mentioned previously. Unfortunately, most insurance companies use a particular service to estimate value, and they are not always willing to give you more than that service indicates the automobile is worth. If they are offering you substantially less than what you feel your car is worth, your only option may be to file a civil lawsuit. If your vehicle is totaled, you also are entitled to some reimbursement for taxes and registration fees.